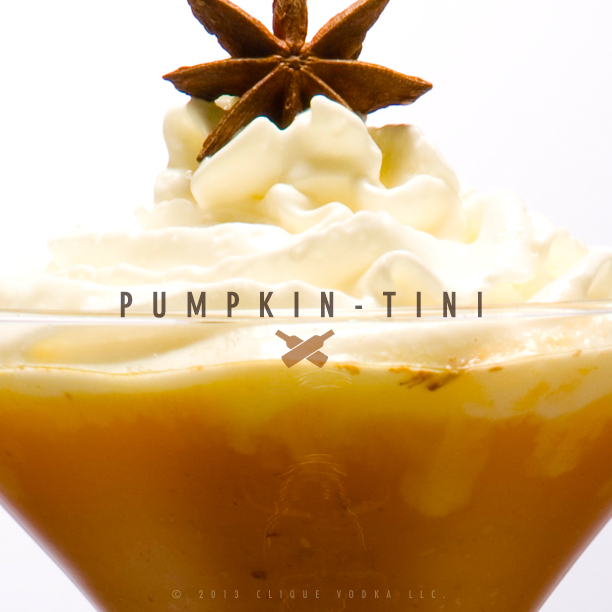 End a perfect Thanksgiving meal with a Pumpkin Pie Martini! The key to serving this cocktail fast is taking a couple of minutes to pre-make a pumpkin spice mix that you can just shake it over ice with Clique Vodka and garnish to serve. Not only does making a mix ahead of time speed up serving time, but when adding spices to other ingredients (much like sangria) the longer they sit, the more time the flavors have to mingle and blend together. I really like to use a ginger syrup for my mix (see recipe below), I think it adds a lot of complementing flavor, but if you don’t have time or aren’t really a fan of ginger you can use regular simple syrup instead (1 part sugar dissolved in 1 part hot water). Blend 4 oz ginger (or regular) simple syrup in a blender with 4 oz pumpkin puree (canned is fine), 1 oz cream, 4 drops of vanilla extract ( imitation is fine too), and 2 good shakes of pumpkin pie spice until you achieve an even consistency, the refrigerate in a bottle or pitcher until ready to serve. When you are ready to make your pumpkin pie martinis, simply shake 2 oz of Clique Vodka with 1 oz of your pumpkin spice mix and strain into a chilled cocktail glass. Garnish with a ridiculous amount of whipped cream and a star anise pod. Don’t think you can fit a whole martini after a lavish meal? 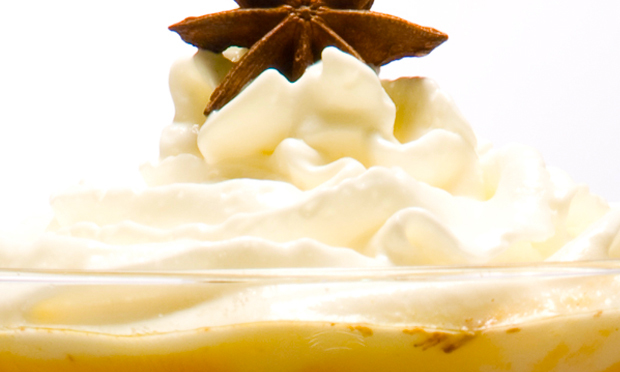 Split in 3 and skip the star anise for pumpkin pie shooters! Bring 1/2 cups of peeled and chopped ginger to a boil with 1 1/4 cups of water. Cut the heat and let steep 10 minutes before stirring in 1 cup of sugar until dissolved. Let ginger syrup cool before straining.